This beautiful wedding photo is from the wedding of Jamie and Adam. LMAC Photography is always happy to customize packages and Jaime and Adam had a customized package with a couple of hours of wedding photography coverage. 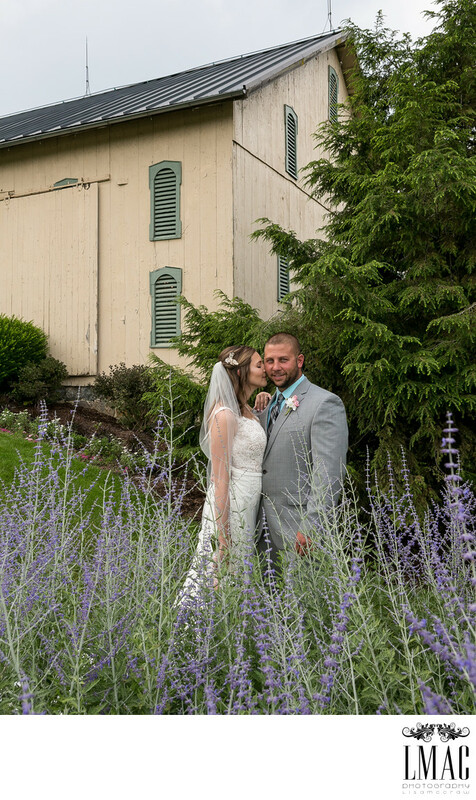 That didn't stop us from shooting some amazing wedding photos at their beautiful venue The Mohican Gardens. Mohican Gardens is located in Loudonville, Ohio. It's a rustic venue...the ceremony was held in their vast beautiful barn, shown in this photo. The gardens are large and perfect for wedding photography. Location: 374 OH-95 Loudonville, Ohio 44842 .